While many people are aware of the duty to report suspected child abuse, which applies to anyone who has reason to believe it has occurred, many do not realize there is also a legal duty in North Carolina to report suspected abuse of disabled adults. A report should be made to Adult Protective Services through the local office of the NC Department of Social Services. What is a Disabled Adult? 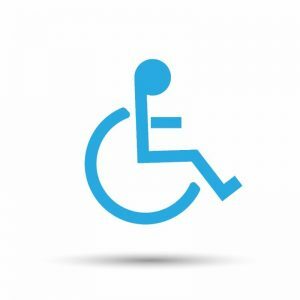 The legal definition of a disabled adult is one who cannot perform “essential services” for himself or herself due to his or her physical or mental incapacity, and has no able, responsible, and willing person who will meet those needs. “Essential services” are things such as medical care, hygiene, food, clothing, adequately heated and ventilated shelter, and protection from health and safety hazards. These essential services also include protection from physical mistreatment or exploitation. Exploitation is “the illegal or improper use of a disabled adult or his resources for another’s profit or advantage.”* Know the signs of abuse (linked from Washington state). A disabled adult is not legally defined by age, although the elderly often meet that standard. There is a legal duty for financial institutions to report to the authorities if they suspect a disabled adult or senior citizen is the victim or target of financial exploitation. There are also several criminal statutes that apply to the abuse, neglect and exploitation of elder adults. NC Gen. Stat. §14-32.3. As long as the report is made in good faith, the reporter will not be held liable. If the report is substantiated and the state intervenes, the adult may qualify for protective services, meaning those services that are necessary to protect the disabled adult from abuse, neglect, or exploitation. Protective services may be provided not only by the government, but also by private organizations or individuals necessary to protect the disabled adult. There are resources, including those for caretakers. Financial Exploitation of Older Adults and Disabled Adults: An Overview of NC Law. By Aimee Wall. UNC School of Gov’t, Social Services Law Bulletin no. 43, October 2014. * Articles 6 and 6A of NC Gen. Stat. §108A, Protection of the Abused, Neglected, or Exploited Disabled Adult Act.